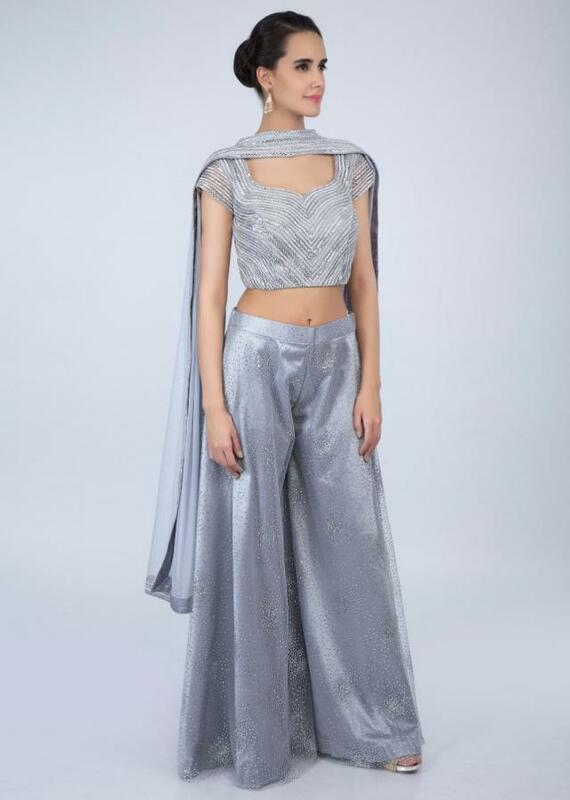 Silver grey embroidered net blouse with sweet heart neckline. Studed with moti, stone, bead work all over. It comes with sheer net back with tie up. 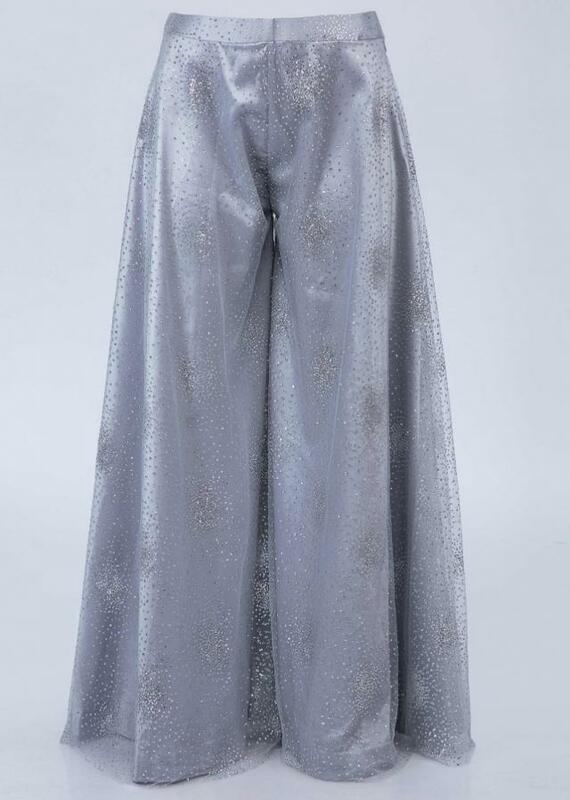 Paired with a matching net palazzo with silk-under layer. The net top layer of the palazzo is beautified with shimmer butti scattered all over. 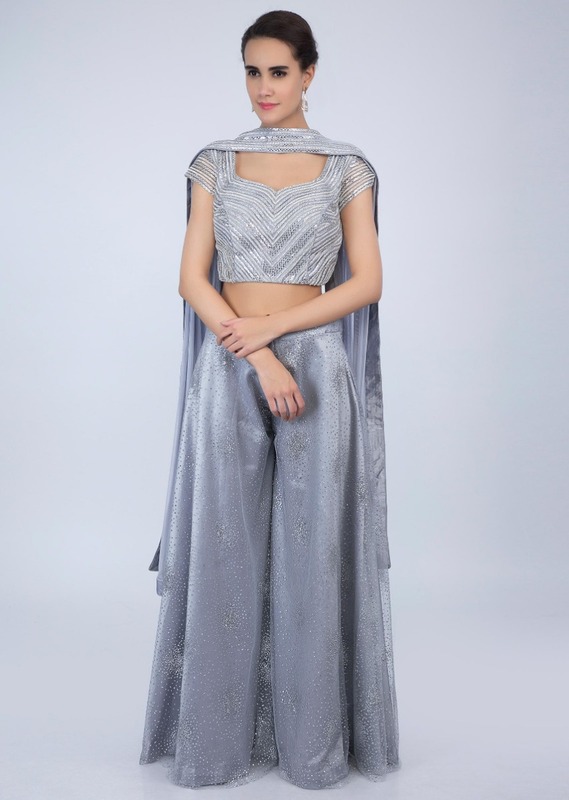 It comes with a flint grey lycra net draped dupatta stitched from the center and beautiful embroidered border.